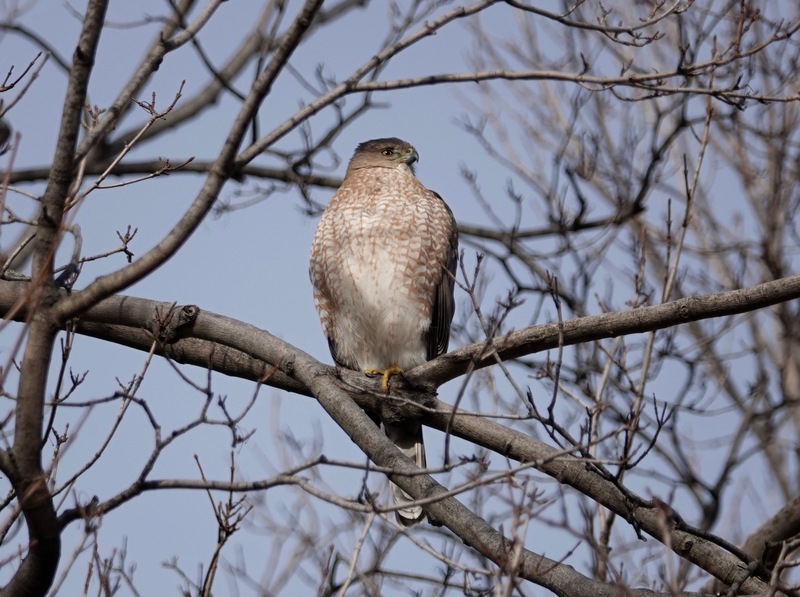 Of late, the Cooper Hawks I’ve seen have been in the air, as yesterday’s post, or huddling in the yews and arbor vitae. But this one was perching as bold as brass… or is that rusty iron? With nary a Blue Jay in sight… The Jays have been abundant in Green-Wood this winter. They let up a vocal storm when they run into something they don’t like. But they can’t be everywhere. 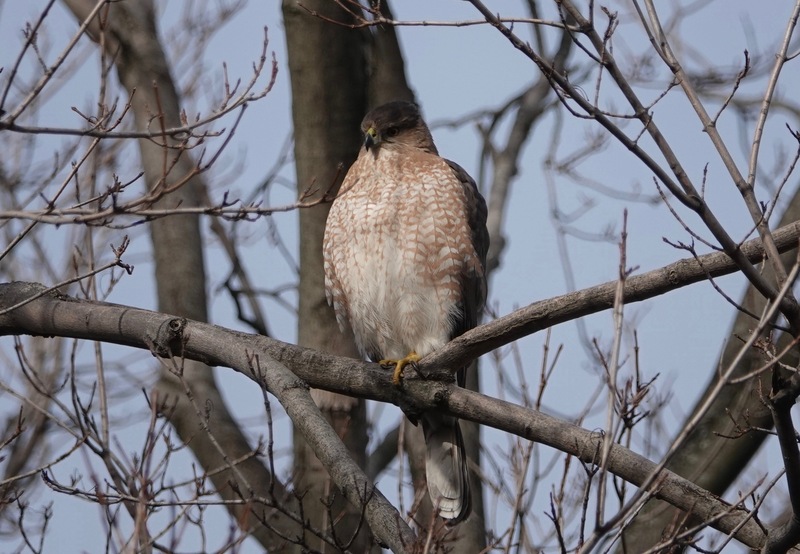 This big Accipiter had the field.